Having the intentionality of both cognitive and affective taxonomies provides a natural step in the correct direction for addressing emotional intelligence and using right brain activities. However, it’s easy to get excited and have a drawing class, thinking that will solve all the issues, or be scared and refuse to touch anything on the creative side because it’s more challenging to channel. It’s also more than balance; it’s timing. The cognitive focus is needed to internalize complex practices that are being taught, which lead to developing metacognition. Kraiger, Ford, and Salas (1993) noted that strategy and decision making must be developed before performance can be enhanced. However, before that can happen, self-awareness found in affective learning must be present. Goleman (2000) stated that emotional intelligence is more important than raw expertise in the area of leadership, which is an essential element regardless of the industry and a bottom line need that we desperately need in knowledge work. 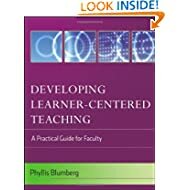 While I’m possibly straying for a second from the core value of diversifying the learning experience, it should be noted that an essential strategy to effective integration of cognitive and affective taxonomies is with the facilitator, trainer, or professor’s effort to foster authentic relationships within the learning environment. 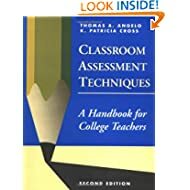 Cranton (2006) helps us understand specific strategies in doing so. Exploring significant experiences, taking psychological inventories, and creating art that represents themselves as both professionals and individuals. Sharing these elements greatly increases self-awareness. Developing a strong awareness of others. This involves personal dialogue with each participant, becoming aware of their motivation for being there, and obtaining frequent feedback. Articulating the relationship preference. While this is more suited for formal education, it’s important to not create mixed signals regardless of your environment. 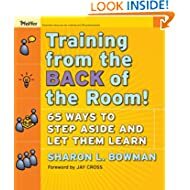 Those are not simple strategies, but if they are successfully incorporated into your mindset as a facilitator, the diversification question becomes much more intrinsic for you because you are attuned to the learners. Use lots of interactive visuals, such as Cacoo, Mural.ly and Lino for online and post-it notes / white boards / flip charts for face to face. 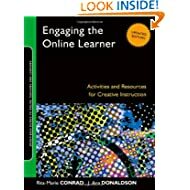 Those are a few starting points, and here are some excellent books that can continue to help an avid educator provide practical experiences and keep in touch with what the learners are feeling. 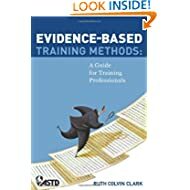 While all relate to both academic and trainer needs, some are more conducive to one group than the other, so read the descriptions carefully if you decide to buy. 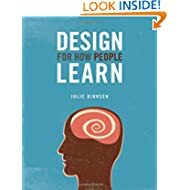 However, all of these provide great advice for how to structure your learning environment for the best possible experience.